One of the most interesting next-gen projects - Watch Dogs game - was postponed last month, and the developers are taking their time to make this action-adventure as good as possible. Yesterday new Watch Dogs video appeared in the network, and using it you can also evaluate the developers' work. Yesterday Ubisoft's CEO - Yves Guillemot - told Gamespot that the developers of the Watch Dogs game are really happy to have an extra time for the realization of their plans. The project has to be very qualitative, and so Ubisoft is doing its best to create a really good game. "And so we are confident with the game and its ability to be one of the best sellers of next year," - Guillemot added at the end. Also yesterday AGBMedia YouTube channel published an interesting Watch Dogs video, which shows the creation of the game's cutscene. If you want to find out how the development of Watch Dogs is going, we advise you to watch this video on GameSpace. UPD: Unfortunately, the video has been deleted from AGBmedia. Hope that soon it will be posted on the official channel. In the meantime, we would like to present you the list of other media projects that look like Watch Dogs game. They all were described in our previous article. 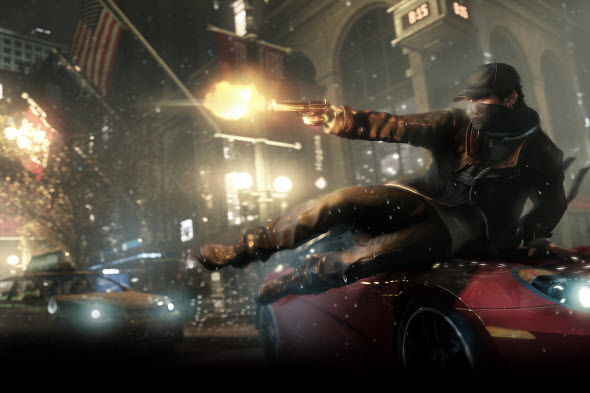 Watch Dogs game will be released for PC, next and current generations of consoles next year, in spring.